What Should You Look for in an Assisted Living Facility? When you start the process of finding an assisted living community, be sure to take into consideration the location, the services and amenities offered there, and that it feels like home. Here are seven key things to look for when you start your search for the perfect assisted living community. One of the most important things you need to do when you start to look for assisted living centers is to do some research. To start, make a list of things you are looking for and needing in a senior community. Consider the location of the home, read reviews by others who have lived there and make sure to visit the assisted living community before you make any decisions. 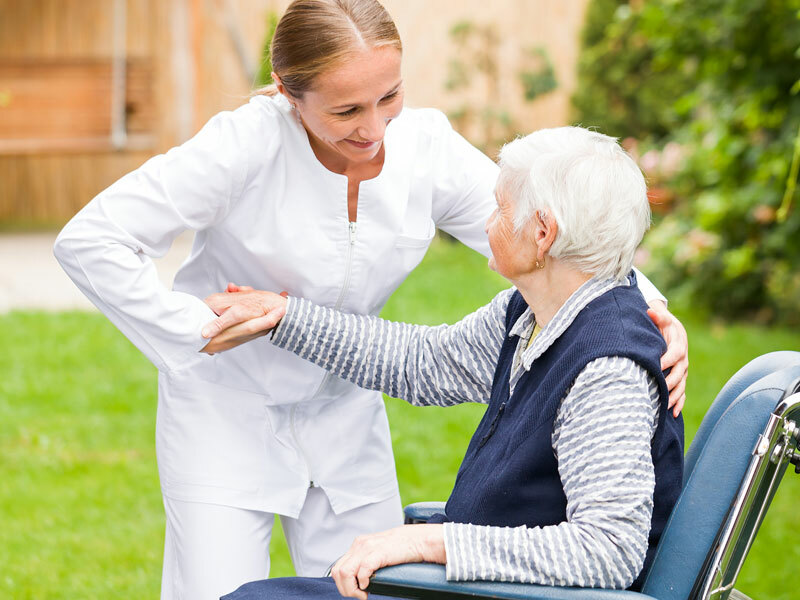 What services does the assisted living facility offer? Do they have on-hand medical professionals available? Do they offer transportation services? How many meals a day will your loved one receive? Are there proper safety features in place and do they coordinate with your loved one’s medical professionals? These are just a few things to consider when looking into a new home for your aging loved one. If your loved one suffers from dementia or Alzheimer’s disease, it is a good idea to find a community that offers memory care options. Memory care reaches beyond traditional assisted living care, offering additional assistance with daily living in a secure environment. ProTip: The environment and activities in a memory care center are specifically designed for those who have dementia or Alzheimer’s disease. A pet can be a dear part of an aging person’s life and there is no reason they should give up their beloved companion when they transition into their new home. Find an assisted living facility that allows your loved one to take their dog or cat with them in the next chapter of their lives. Cost is usually a top concern when it comes to choosing an assisted living community. Inquire about costs and fees. Ask about different payment option, such as potential veterans benefits, ways to tap life insurance policies and community grants, as well as Medicaid options. Different assisted living homes have different amenities and it is important to take this into consideration before making your decision. Will your loved one have a private or semi-private room? Do they offer senior fitness classes? Are there safe places outside to stroll through and spend time in? Do they allow visitors to stop by anytime and are they concerned with embracing the mental, physical, and spiritual wellbeing of their guests? The number one thing to look for is a place that your loved one can feel at home. Most likely, they won’t be happy or comfortable if they are stuck living their late years in a place that is cold and feels like an institution or hospital. When it comes to finding the right assisted living community, the most important thing is to find the one that best suits you and your loved one’s needs. By keeping the above tips in mind while looking, you are sure to find one that is perfect for what you are looking for. Join the conversation to learn more tips about finding the right assisted living community.